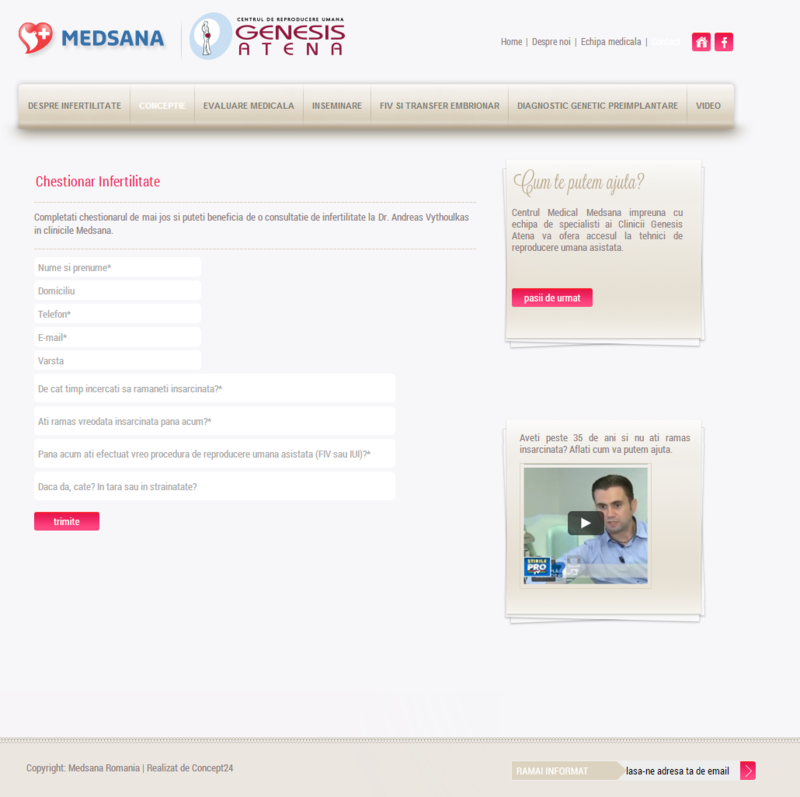 Medsana Medical Center is partners with Genesis Athens Clinic - Dr. Konstantinos Pantos - who provides assisted human reproduction techniques in Genesis clinic in Greece. 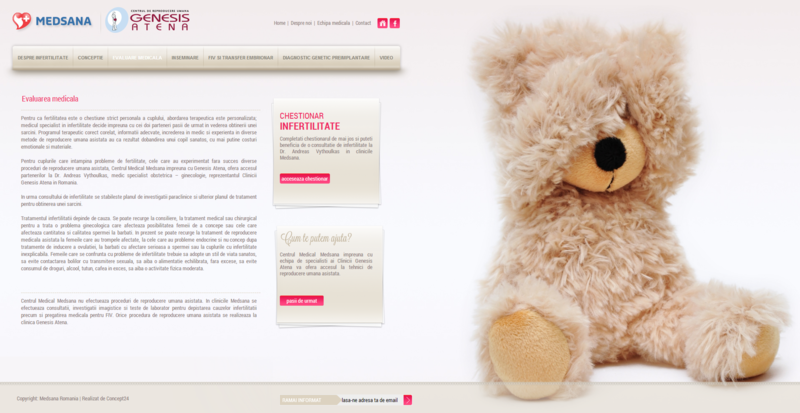 The presentation website presents all the necessary information for infertile couples, enhancing the great experience of over 25 years of successful stories. 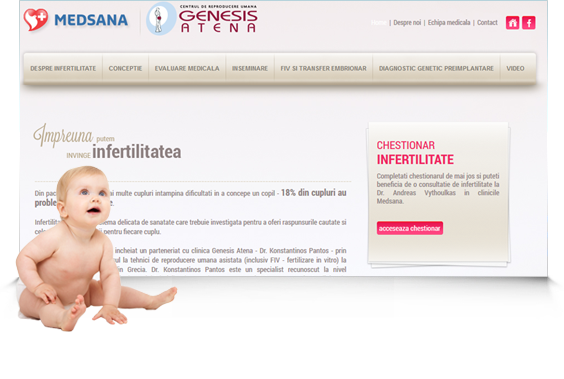 Our mission was to represent the professionalism and dedication of the medical center, their unique approach which makes this fertility center one of the most important in Europe.